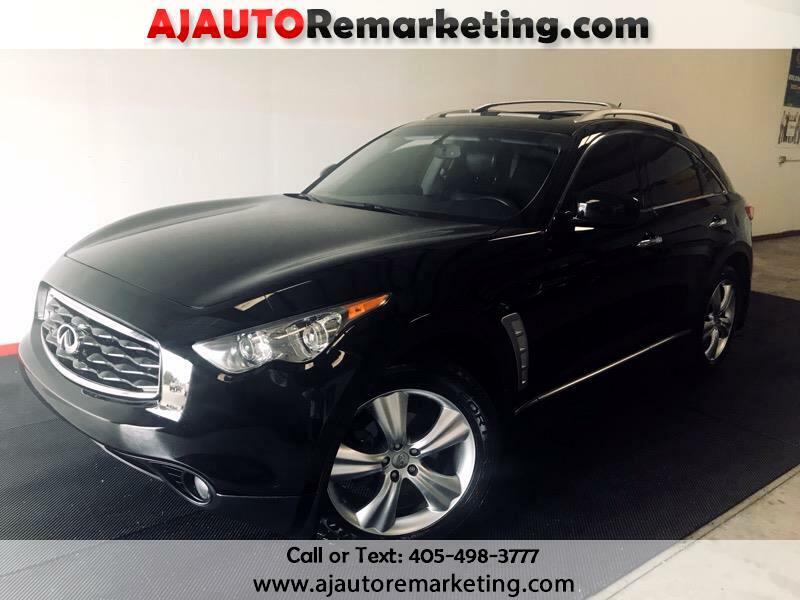 Feast your eyes upon our 2010 INFINITI FX35. Powered by a 3.5 Liter V6 offering 303hp paired with a 7 Speed Automatic transmission for amazing passing power. This beautiful and sleek Fwd Wheel Drive SUV features chrome accents, sunroof, fog lights, and LED taillights. Inside the FX35 you will find a multitude of luxury amenities. Ours includes luscious leather seating with heated and cooled front seats, a backup camera, awesome BOSE sound system, and more. Very nice, indeed. Add in the host of safety features found in INFINITI including six standard airbags, four-wheel antilock disc brakes, an anti-skid system, and front-seat active head restraints, to name a few. One look at our pictures and you will be sold! But don't take our word for it. Print this page and call us Now... We Know You Will Enjoy Your Test Drive Towards Ownership! Message: Thought you might be interested in this 2010 Infiniti FX.